TomTom has also recently celebrated selling over 100 million navigation products and are also releasing a brushed-gold finish version of the GO Premium called the GO Premium X although this will set you back an extra �70... RRP of the Go Premium is �299 and are available to purchase now from the TomTom Online store. I go all over Europe and I�ve found my old GO 910�s almost perfect for the job (the mount design however is not good). 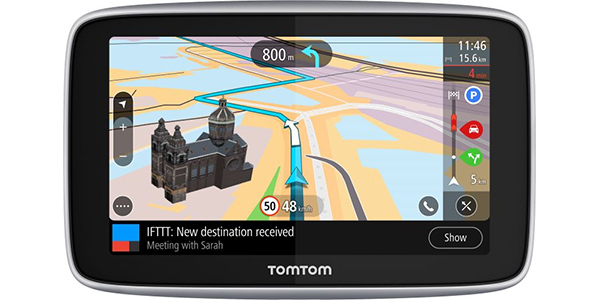 TomTom�s own Android offerings so far have been awful. They�ve already done the hard work over the years so why reinvent the wheel... revamp the code and port it to new snazzy devices. If April spells the death of my 910�s I�ll be looking to Garmin or Sygic as TomTom have nothing to offer me.